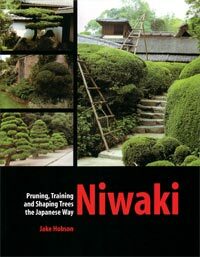 Hobson illuminates the practice known as niwaki in a fascinating, long overdue guide to shaping trees in ways that reflect the aesthetics of Japanese gardens. Hobson's regard for elements of garden design inspired by nature, and at times, derived literally from iconic features in Japan, shapes his writing. Possessing a sculptor's eye, Hobson ably opens the eyes of readers to the nuanced tree and shrub forms achieved by clipping or heavy pruning. Instructions cover approaches to dealing with side branching, how to alter the line of the trunk, and how to sculpt pine trees, azaleas, conifers, broad-leaved evergreens, and deciduous trees. More than a pruning manual, Hobson's guide encompasses the cultural implications of niwaki, an artistic custom integral to the gardening legacy of Japan.